School is out for summer, and kids are wanting to make money. Hiring young people is a big responsibility not only due to their immaturity and endless amounts of youthful energy but also because of state and federal child labor laws. It’s a good idea for you to review the laws and to train your managers as well, so when the convincing 14-year-old begs to work overtime so he can buy a new iPhone, you’ll know how many hours he is allowed to work before the law is broken. The Fair Labor Standard Act (FLSA) is a federal law that determines the rules for different age groups of youth as well as the enforcement and fines for employers who violate the law. FLSA protects children from being exploited by employers to sell or produce goods for commerce. Knowing what types of occupations children are allowed to work in and what duties they can perform is important. Also, be aware that the rules and restrictions are different for summer vacation than when school is in session. Many states have their own labor laws with different child labor requirements so make sure to check your state laws as well. Employers are generally not permitted to hire children 13 years old or younger, but there are some exceptions to the rule. If your business is in agriculture, wreath making, newspaper delivery, or entertainment, make sure to read the FLSA Child Labor Exceptions before you post your help wanted ad. Employers are allowed to hire 14- to 15-year-old minors but are required to have an age certificate. This will protect them from violating the FLSA just in case a minor lies about their age to get hired. When school is in session, 14- to 15-year-olds can only work 3 hours a day and not more than 18 hours a week. They cannot work before 7 a.m. or after 7 p.m. During the summer vacation starting June 1st and going thru Labor Day, youth are allowed to work 8 hours a day but not more than 40 hours a week. They can work during the hours of 7 a.m. to 9 p.m. and only in appropriate occupations. If you were thinking of having the 14-year-old employee wanting overtime to mow the lawn for your business, you better read the laws again. There are certain occupations 14- and 15-year-olds may not perform, such as using power-driven machinery, lawn mowers, weed-eaters, or food processors and food mixers, just to name a few. Make sure your managers know what duties minors can and cannot perform to ensure that your business doesn’t break the law. Employers can hire 16- and 17-year-olds for any job as long as it doesn’t involve fire, chemicals, explosives, sharp objects, or anything that would be classified as hazardous or detrimental to their health or well-being. Same as the younger minors, when school is in session 16- and 17-year-olds cannot work before 7 a.m. or after 7 p.m. They can only work 3 hours a day and no more than 18 hours a week. 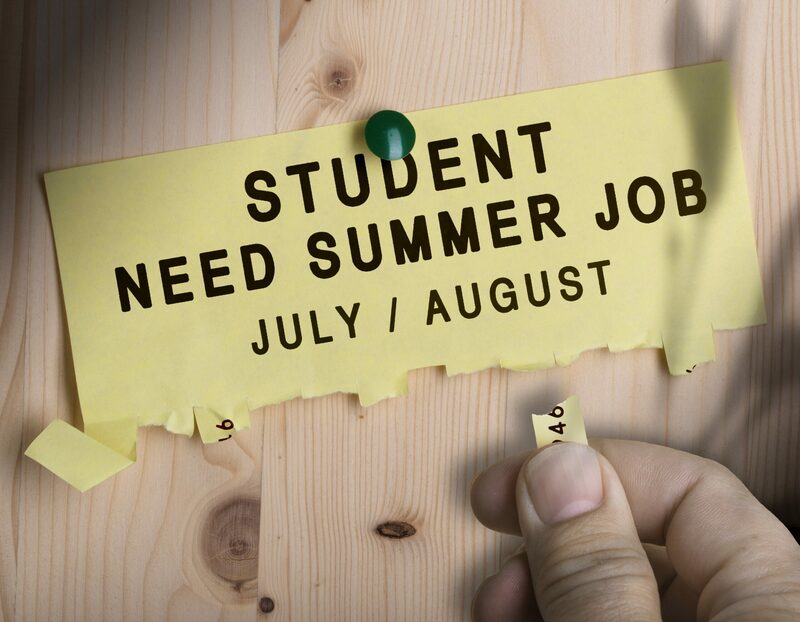 June 1st thru Labor Day, during the summer vacation, the youth are allowed to work between the hours of 7 a.m.-9 p.m., 8 hours a day and up to 40 hours a week. They can only work in appropriate occupations, and age certificates are also required if the minor doesn’t have an I.D. Make sure to have your paperwork and age certificates in order, so if a surprise inspection happens you will be in compliance. Those who are found to have violated the child labor restriction of the Fair Labor Standards Act could face both criminal and civil penalties. Fines for violation can run as high as $10,000. A second-time violator can be fined and sentenced up to 6 months in jail. Business entities such as an LLC or corporations are subject to harsher penalties for violating the FLSA child labor laws. A fine up to $11,000 per minor employed in violation is possible and up to $50,000 if the minor suffers a serious injury. Repeat offenders are subject to the penalty being doubled if they repeat the violation or if it is willful. Working with minors is a lot of responsibility, not only to be a good role model but also to ensure their safety and well being. Make sure all the adults in your business are well versed in the FLSA and the state child labor laws. Consider posting a list of duties and occupations minors are not allowed to perform so it’s easy to find and reference. Knowing the law and making sure everyone is on the same page will keep everyone safe and productive.